The In The Zone travel baseball program is considered one of the best training and development programs in New Jersey. Our west Morris County indoor baseball facility is home to travel baseball teams that train and play throughout the year. Teams play in travel leagues and tournaments in the spring, summer and fall. We have an incredible staff of coaches and trainers, all under the direction of Oscar Zavala, a 3-time coach of the year. All practices and training programs that our travel baseball teams are involved in have a minimum of two(2) In The Zone coaches / trainers in attendance. There are no parents involved with the training or coaching of our teams or players. 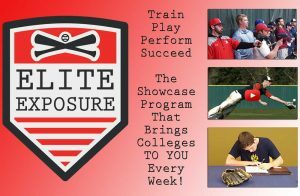 Elite players between the ages of 16U and 18U (2015 age) would be considered for our summer college showcase program, involved in various Atlantic Coast tournaments that are highly attended by college scouts. In The Zone has been running summer college showcase teams for several years and through our partnership with Student Athlete Showcase, work to provide numerous opportunities for our high school age student athletes. Entering our 13th year of baseball training and softball training, In The Zone Baseball & Softball Academy offers private training, team training, lane rentals, facility rentals, camps & clinics, college recruitment advisement and more. Click Here to contact us today.